The aforementioned the new job, and at Frankfurt's Final Fantasy XIV FanFest keynote, it was revealed more details, at the same time, Stormblood will introduce a new continent to the far east (presumably the home of the samurai). 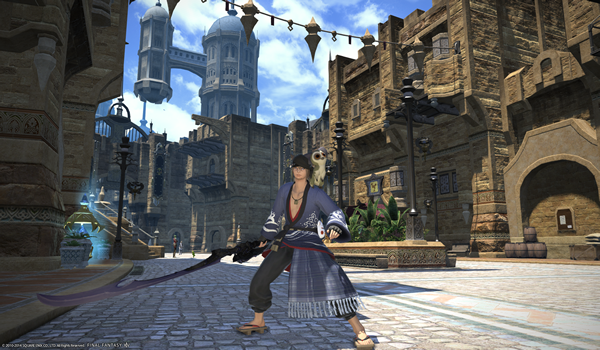 There'll be a new player city, too: Kugane, with a style that recalls ancient Japan. Assumption that you are dedicated to be a Samurai, in this case, your mainly weapon will be the katana, which you'll use in conjunction with its saya (or scabbard). With no base class, samurai will start at level 50, they'll also use the same armour as monks, if you have any of that lying about.